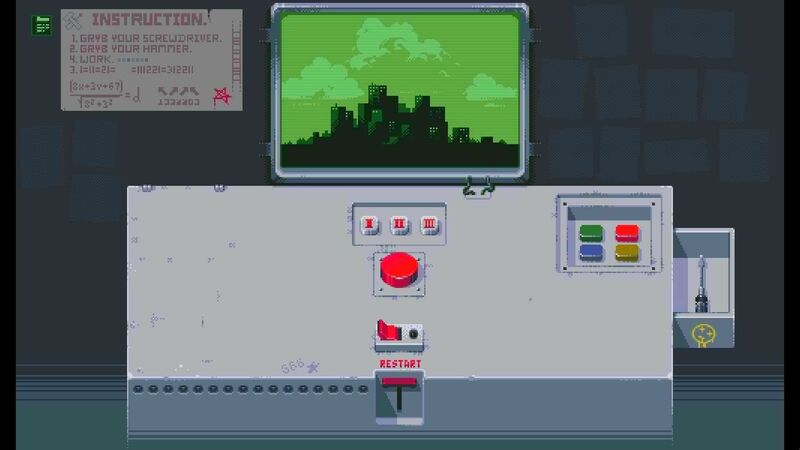 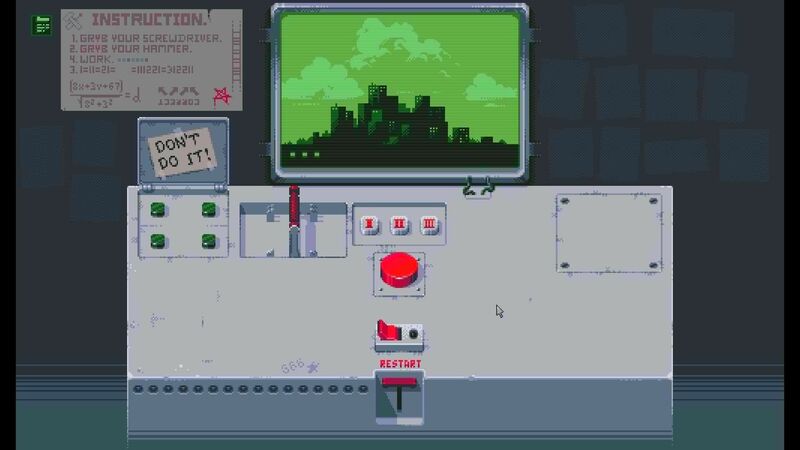 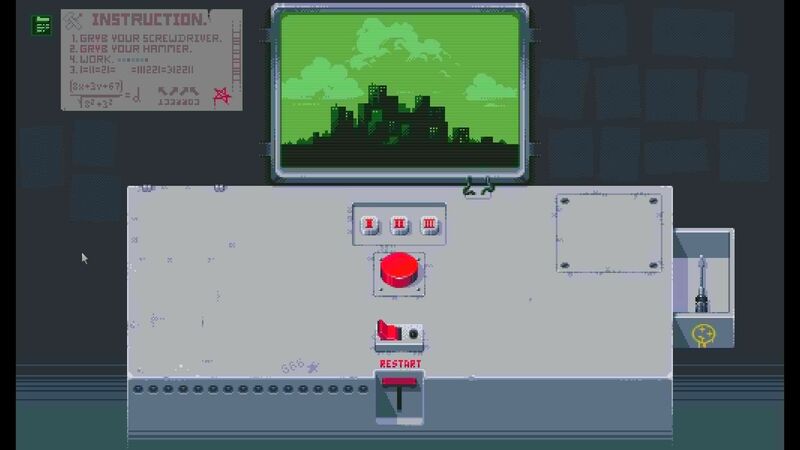 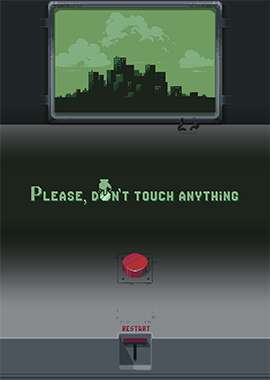 Please, Don’t Touch Anything is a cryptic, brain-racking button-pushing simulation. 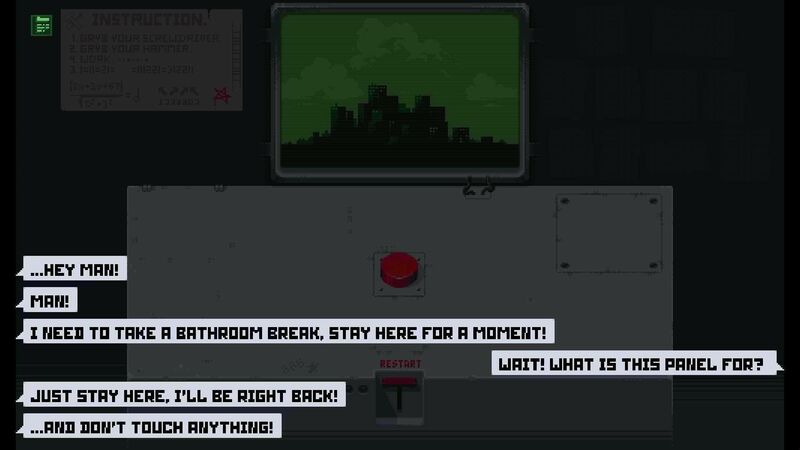 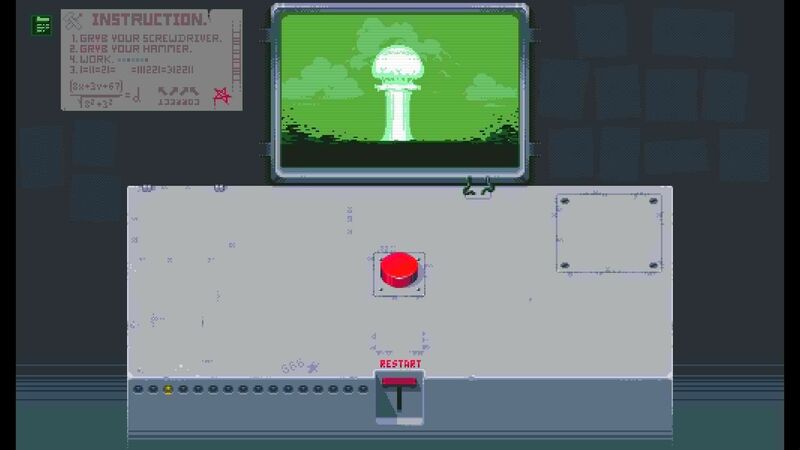 Covering for a colleague who is taking a bathroom break, you find yourself in front of a mysterious panel which only component is a red button. 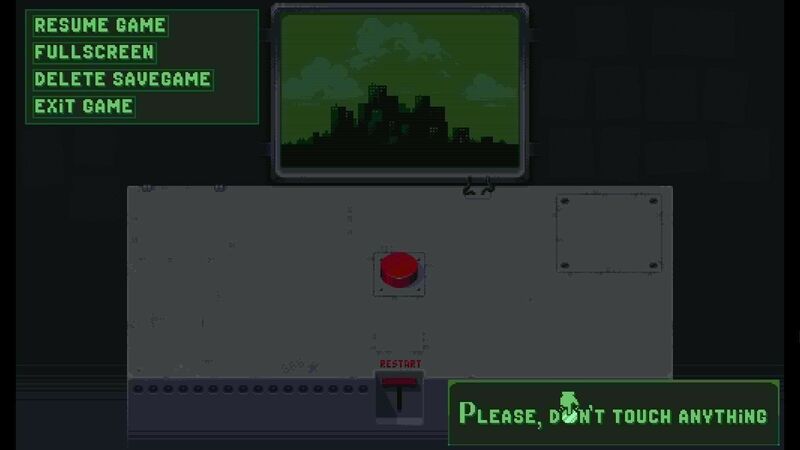 And since you’ve clearly been instructed not to touch anything, the only thing you want to do now is push that damn button.